Insulin Like Growth Factor (IGF)-1 (4-70), otherwise known as IGF-1 DES, produced in E. coli, is a single, non-glycosylated, polypeptide chain containing 67 amino acids and having a molecular mass of 7,372 Da. 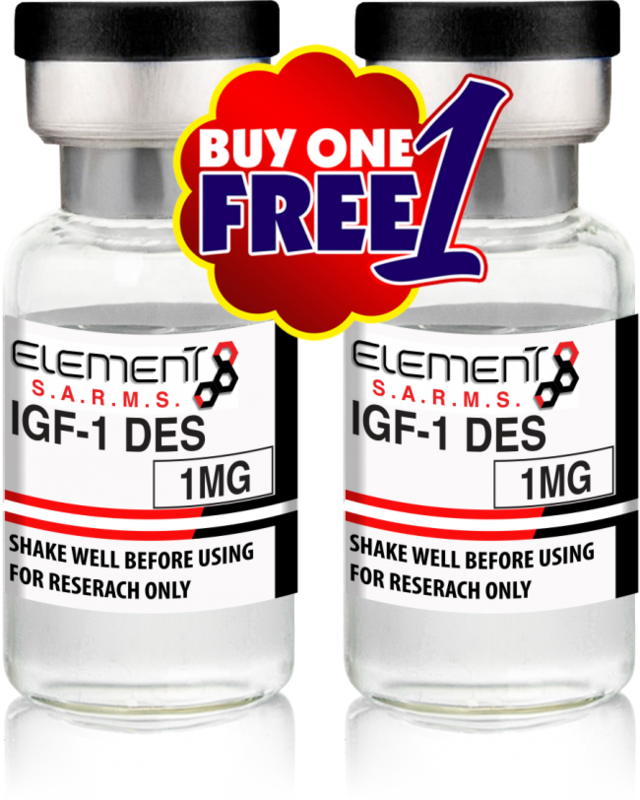 In vitro studies demonstrate that at equal doses DES (1-3) IGF is ten times more potent than IGF-1 at stimulating hypertrophy and proliferation in cultured cells. It is likely generated through post-translational modification in the sequence of circulating mature IGF-1 via protease action. 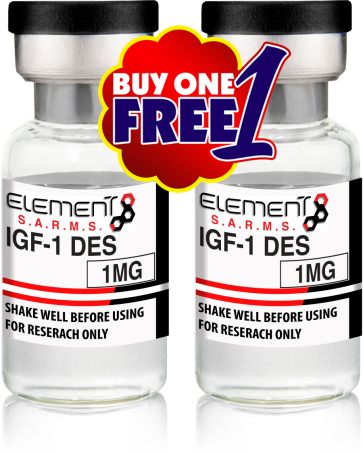 IGF-1 DES is a cleaved form of IGF-1 and contains amino acids 4-70. This structure has allowed the effects of the IGF-1 protein to be amplified in the more stable form of the DES 1,3 molecule peptide protein fragment of Insulin-like growth factor 1. The IGF-1 DES, or insulin-like growth factor DES, comes from the IGF-1 family of peptides that play important roles in mammalian growth and development. IGF1 mediates many of the growth-promoting effects of growth hormone and IGF-1 DES, although shorter, pacts an equal amount of physiological altering protein physical changes. Early studies showed that growth hormone did not directly stimulate the incorporation of sulfate into cartilage, but rather acted through a serum factor, termed 'sulfation factor,' which later became known as 'somatomedin' or IGF-1 and more recently through truncation, DES IGF-1.